Today I have teamed up with Bonprix to giveaway a little prize as part of there Christmas Advent calendar ! Different bloggers have all signed up to give away a prize each day. 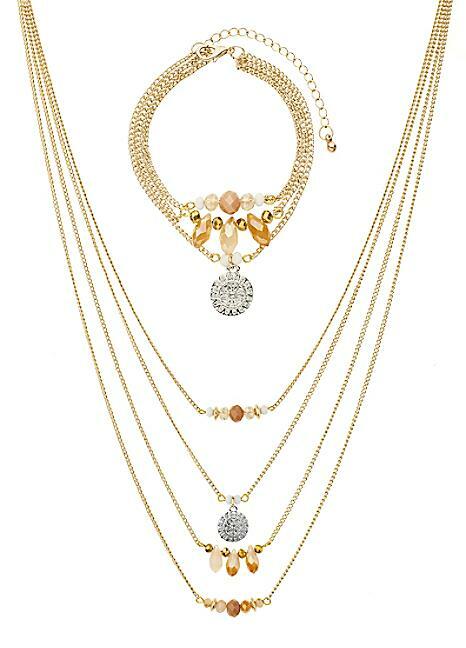 This giveaway is running for one day only so make sure you get involved to win this beautiful jewelry set ! The Giveaway is for UK residents only. Bonprix will be shipping the item once I have passed on the winners details. The winner will be notified on Twitter and will have 24 hours to respond. If the winner does not respond within 24 hours, an alternative winner will be selected via Rafflecopter's randomiser. If you want to find out more about the giveaway you can read all about it here ! Good Luck to all entries !